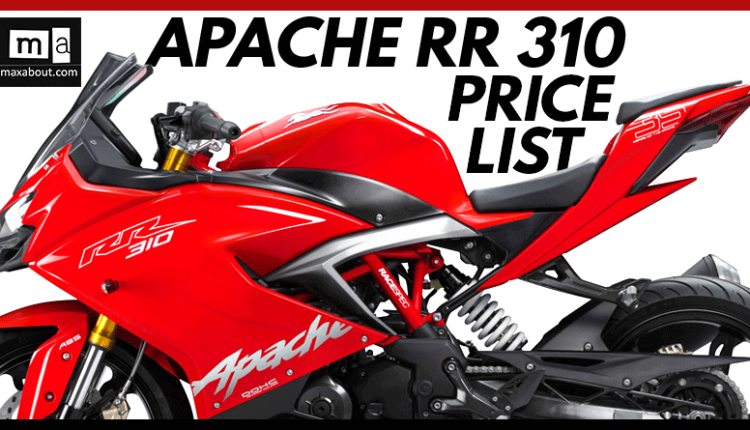 The fully-faired sportbike TVS Apache RR 310 officially starts at INR 2,05,348 (ex-showroom). Kerala is the only state to have this low value while five other states and UTs (Andhra Pradesh, Maharashtra, Pondicherry, Tamil Nadu, and Telangana) show INR 2,17,348 as the ex-showroom price on the official website. 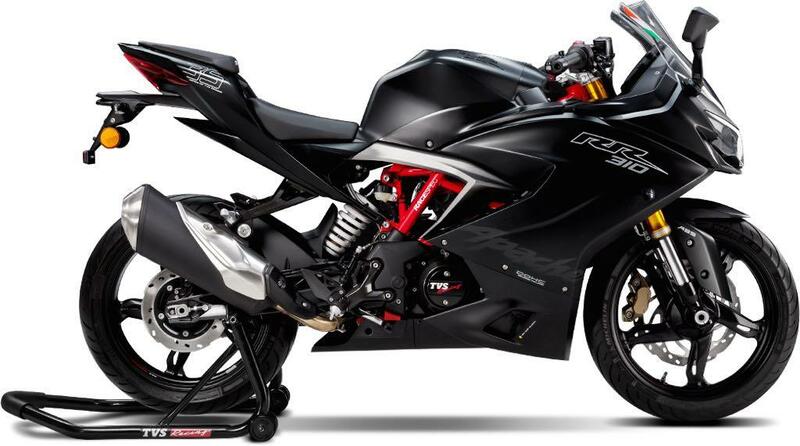 Other 17 states and UTs in India have INR 2,24,348 as the official price tag for the motorcycle. Out of 29 states and 7 union territories, a large number of areas are still missing from the availability list. 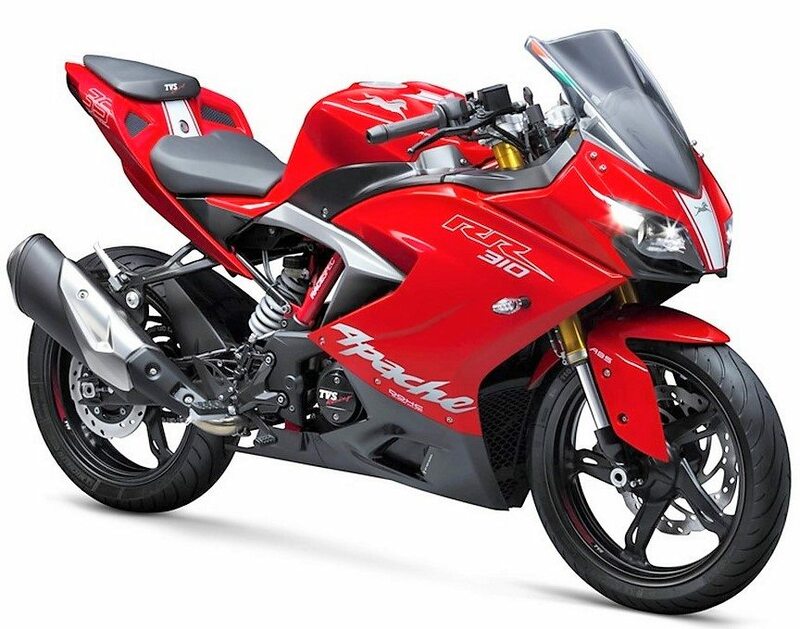 The powerful motorcycle is available with bi-LED headlights, USD front forks, and dual-channel ABS as standard. The shades available for the RR310 includes Racing Red (Gloss) and Racing Black (Matt). 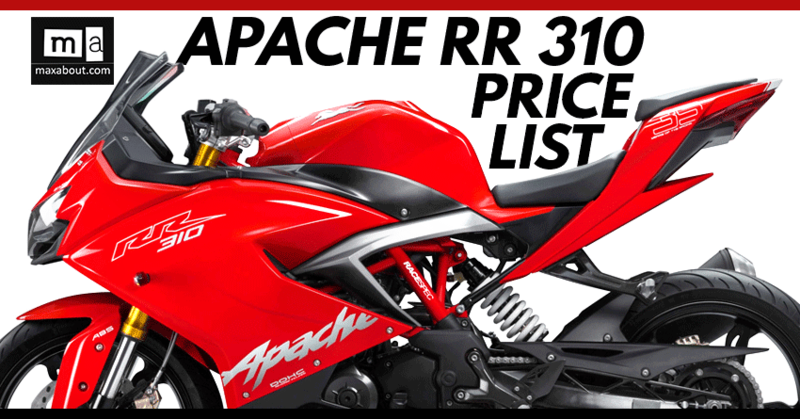 Here is the state-wise ex-showroom price list of Apache RR 310 in India.